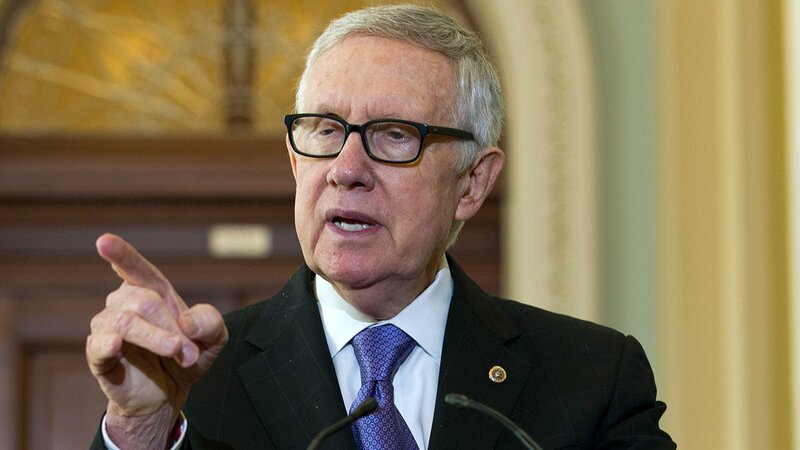 WASHINGTON (WABC) -- Departing Senate Minority Leader Harry Reid unleashed a scathing letter against Donald Trump, calling the President-elect "a sexual predator who lost the popular vote and fueled his campaign with bigotry and hate." The Nevada Democrat said in a statement that "If Trump wants to roll back the tide of hate he unleashed, he has a tremendous amount of work to do and he must begin immediately." Absent from the statement was any note of conciliation or a congratulatory olive branch. The 76-year-old Reid is retiring at the end of this year after five terms, so unlike other congressional Democrats he has no imperative to try to make nice with Trump. That position allows him to give voice to bolder sentiments than other Democratic leaders who may need to try to work with Trump. New York Democratic Sen. Chuck Schumer is replacing Reid as Senate minority leader. He has had little to say about Trump so far, but he did congratulate him in a phone call and a brief statement. "White nationalists, Vladimir Putin and ISIS are celebrating Donald Trump's victory, while innocent, law-abiding Americans are wracked with fear - especially African Americans, Hispanic Americans, Muslim Americans, LGBT Americans and Asian Americans. Watching white nationalists celebrate while innocent Americans cry tears of fear does not feel like America. "I have a large family. I have one daughter and twelve granddaughters. The texts, emails and phone calls I have received from them have been filled with fear - fear for themselves, fear for their Hispanic and African American friends, for their Muslim and Jewish friends, for their LBGT friends, for their Asian friends. I've felt their tears and I've felt their fear.